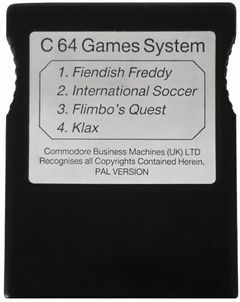 On the cartridge C64 Games System for the game console of the same name by Commodore was a computer games collection issued on one cartridge in 1990. 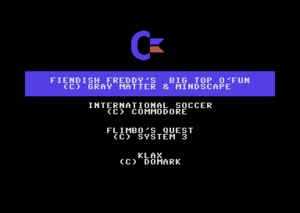 It can also be used on a C64/128. The black plastic case without screws is very easy to open, is very soft and has a weight of 40 g.
The dimensions of the board are only 58 × 34 mm. This was maked by SMD placement. 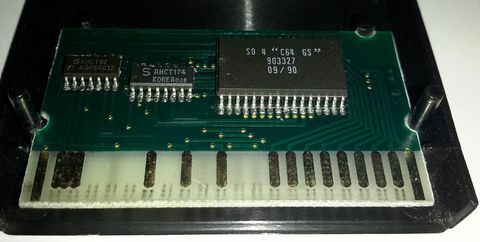 The 512 KByte large ROM chip are 903327. 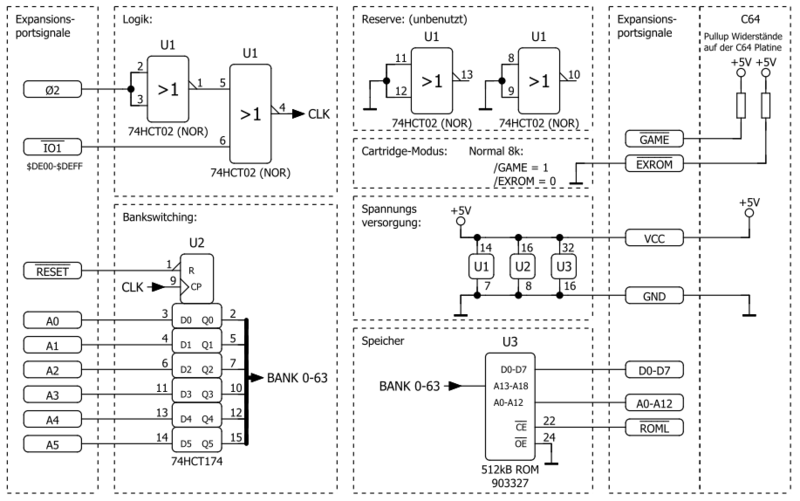 The control logic is realised by the two chips (74HCT02 and 74HCT174).